Pamper your hands and feets! Enjoy! Protects, nourishes and repairs the skin. Contains fair-trade shea butter and five organic oils. This multipurpose Balm is magical, it can be used in so many different ways. Hydrate your hands, lips, face, body and even hair with this great, all-natural formula. 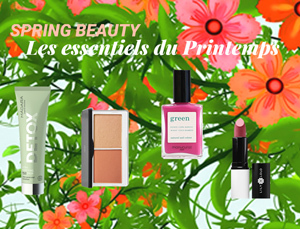 The delicate natural scent of summer flowers lifts up spirits and brings up memories of holidays! Beautifully silky moisture-locking organic hand cream. It instantly provides hydration, softens and pampers dry hands. The quickly absorbed natural formula combines softening oat extract and aromatic essences of jasmine and meadowsweet to restore comfort and provide immediate well-being. Ultra-rich, yet easily absorbed cream that nurtures and hydrates dry, rough hands and strengthens nails. The protective multi-layered texture envelops the hands in long-lasting softness and comfort. An amazingly effective hand and foot moisturiser. The non-greasy gel formulation contains organic honey to beautifully moisturize, soothe and refresh. With each application the delicate, comforting scent of violet lingers on the skin. Using Hyalomiel generously throughout the year gives your hands the freshness and the elasticity of youth. Dr. Bronner's Organic Hand Sanitizer is a naturally antiseptic sanitiser with a simple formula: organic ethyl alcohol, water, organic lavender oil, and organic glycerin—that’s it! Dr. Bronner's Organic Hand Sanitizer is used to decrease bacteria on the hands, whilst leaving a relaxing lavender scent. Practical for ont he go use. Tea Tree. Fair trade and organic sugar gives Dr. Bronner's Organic Pump Soaps a rich caramel color and sweet scent. The sugar combines with organic white grape juice to keep your skin nourished, hydrated and smooth. Organic coconut-olive-hemp oils blend for a creamy castile lather - Dr. Bronner's soapmaking tradition! The peppermint essential oil tingles the body and clears the mind. The classic, 100% biodegradable blend creates a soft, lavish lather with certified organic extra virgin coconut, olive, jojoba and hemp oils blended with organic pure essential oils. It's free of synthetic foaming agents, thickeners and preservatives, while being three times stronger than most soap on the market. Dr Bronner's cult classic soap is a must have in every bathroom. Dive into the Nordic forest! MADARA's organic soap for body and hands purifies and nourishes the skin with the vitality of cranberry and the freshness of juniper. The botanical base of the soap purifies while the jojoba oil nourishes the skin, leaving it full of energy. Lavender. Fair trade and organic sugar gives Dr. Bronner's Organic Pump Soaps a rich caramel color and sweet scent. The sugar combines with organic white grape juice to keep your skin nourished, hydrated and smooth. Organic coconut-olive-hemp oils blend for a creamy castile lather - Dr. Bronner's soapmaking tradition! Peppermint. Fair trade and organic sugar gives Dr. Bronner's Organic Pump Soaps a rich caramel color and sweet scent. The sugar combines with organic white grape juice to keep your skin nourished, hydrated and smooth. Organic coconut-olive-hemp oils blend for a creamy castile lather - Dr. Bronner's soapmaking tradition! Limited Edition HAPPY SKIN. Exquisite organic certified soap infused with organic jojoba oil and natural cinnamon-spice fragrance. Sooo delicious! Sulfate-free, bio-degradable and 100% vegan. Lemongrass Lime. Fair trade and organic sugar gives Dr. Bronner's Organic Pump Soaps a rich caramel color and sweet scent. The sugar combines with organic white grape juice to keep your skin nourished, hydrated and smooth. Organic coconut-olive-hemp oils blend for a creamy castile lather - Dr. Bronner's soapmaking tradition! Moisturizes, soothes and repairs. Face, lips and hands. Use of this unique balm will prevent chapping, cracked and dry, tight skin. 100% natural balm with a scent of violet is made with organic honey and dandelion to hydrate and calm damaged skin. It ensures soft, smooth and perfumed skin. 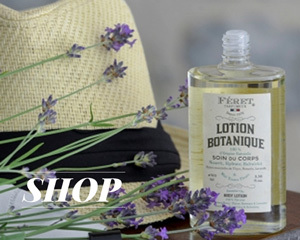 A refreshing and calming fragrance for tired and stressed-out bodies. Dr Bronner's Lavender Organic Lotion contains organic jojoba oil to moisturize dry skin. 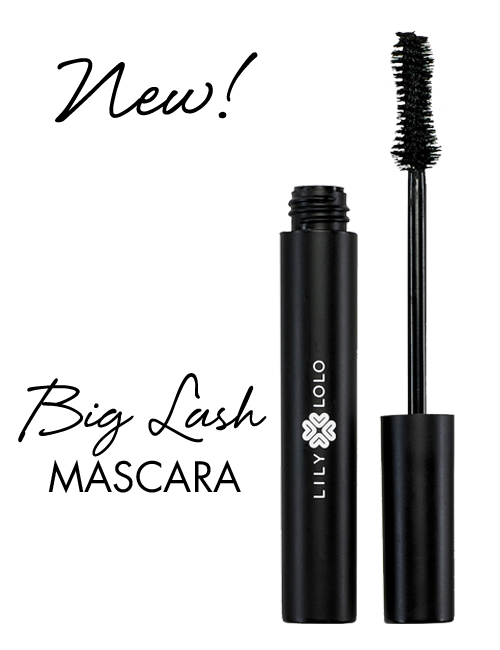 Free of synthetic ingredients or chemicals. Escape to a balmy northern midsummer night with this heavenly scented moisturising organic shower gel. The heady and sensual floral aroma of white jasmine flowers combines with the softness of fragrant meadowsweet wrapped in the alluring haze of butterfly orchids. Tea Tree - antiseptic, perfect for oily skin. The classic, 100% biodegradable blend creates a soft, lavish lather with certified organic extra virgin coconut, olive, jojoba and hemp oils blended with organic pure essential oils. Gently Soothes. Unscented Organic Magic Balm provides instant relief and protection from wind-cold-clothing that has rubbed you raw. Baby Unscented. Fair trade and organic sugar gives Dr. Bronner's Organic Pump Soaps a rich caramel color and sweet scent. The sugar combines with organic white grape juice to keep your skin nourished, hydrated and smooth. Organic coconut-olive-hemp oils blend for a creamy castile lather - Dr. Bronner's soapmaking tradition! Moisturizes, soothes and repairs. Face, lips and hands. Use of this unique balm will prevent chapping, cracked and dry, tight skin. Féret's 100% natural balm made with organic honey and dandelion hydrates and calms damaged skin. It ensures soft, smooth and perfumed skin. Limited Edition HAPPY SKIN. Exquisite organic certified soap infused with organic jojoba oil and natural jasmine-orchid fragrance. Sulfate-free, bio-degradable and 100% vegan. Limited Edition HAPPY SKIN. Exquisite organic certified soapjojoba oil and natural raspberry-vanilla fragrance. Irresistible combination! 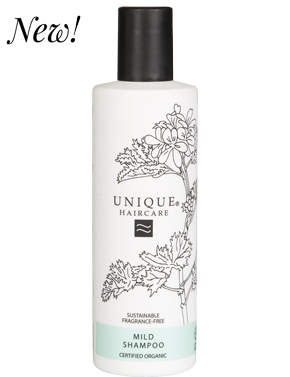 Sulfate-free, bio-degradable and 100% vegan. 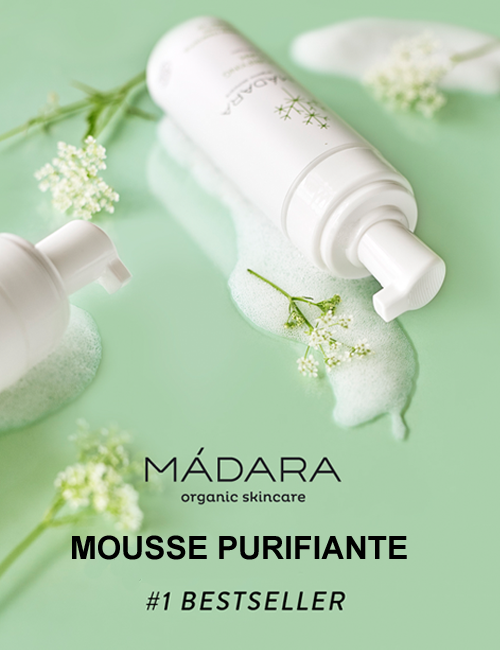 MADARA's organic soap for body and hands soothes the skin with oat milk proteins and the valuable polyvitamins of Northern cloudberry. The botanical base of the soap is enriched with nourishing jojoba oil and hydrating plant sugars which gently cleanse and care for the skin. MADARA organic cosmetics - Cloudberry & Oat Milk Hand & Body Soap. 150g. Ultra rich Balm for skin protection in dry and extreme weather conditions. MADARA's all-over-Daily Defence Cream helps to rescue skin dryness and roughness, protects skin from raw winds and cold. Vitamin-rich Northern cloudberry and sea buckhtorn oils soothe, hydrate and restore skin barrier providing softness. Helps to cure chapped lips and cracked heals, softens nail cuticles, and can be even used as a soothing cream for the little ones. Gives comfort to your skin in winter as well as summer weather. Protects, nourishes and repairs the skin. Contains fair-trade shea butter and five organic oils. This multipurpose Balm is magical, it can be used in so many different ways. Hydrate your hands, lips, face, body and even hair with this great, all-natural formula. Sweet creamy natural almond milk scent. Mini size, perfect for travelling. A relaxing fragrance for tired and stressed-out souls, lavender calms the nerves and soothes the body. Dr Bronner's Lavender Organic Lotion contains organic jojoba oil to moisturize dry skin. 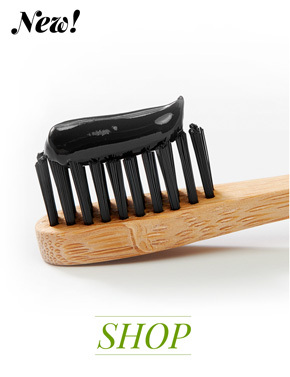 Free of synthetic ingredients or chemicals. The peppermint essential oil is a mild stimulant which tingles the body and clears the mind. Dr Bronner's Lavender Organic Lotion contains organic jojoba oil to moisturize dry skin. Free of synthetic ingredients or chemicals. Nothing smells as fresh as the smell of organic citrus oils! The classic, 100% biodegradable blend creates a soft, lavish lather with certified organic extra virgin coconut, olive, jojoba and hemp oils blended with organic pure essential oils. It's free of synthetic foaming agents, thickeners and preservatives, while being three times stronger than most soap on the market. Dr Bronner's cult classic soap is a must have in every bathroom. Rose - elegant and romantic. The classic, 100% biodegradable blend creates a soft, lavish lather with certified organic extra virgin coconut, olive, jojoba and hemp oils blended with organic pure essential oils. It's free of synthetic foaming agents, thickeners and preservatives, while being three times stronger than most soap on the market. Dr Bronner's cult classic soap is a must have in every bathroom.